We compared over a dozen tax software programs and narrowed it down to six. Tax software is the core of a tax preparer’s business, and the best tax software for tax preparers includes preparing individual and business returns. Plus, tax preparers can work efficiently with accounting software integrations and collaborate using a secure client portal. We considered the needs of tax professionals who prepare individual and business tax returns when evaluating the best tax software for tax preparers. The price of the software is a primary concern, as are the features that the tax software has, such as importing data, integrating with client portals, and sending out returns and invoices for e-signature and e-payment. Pricing: Software should be affordable for most tax preparers. Features: How much the tax software costs, including annual fees and the amount you’ll need to pay (if any) per tax return. Ease of use: How efficient keying data into worksheets is, and how easy it is to review the tax forms. Customer support: Availability of telephone-based technical support. Data import and accounting software integration: Whether the tax software can automate some of the data entry, including importing data from QuickBooks or Excel, extracting data from source documents using scan-and-fill technology, and downloading clients’ tax data directly from financial institutions. Practice management integration: Whether the tax software integrates with practice management software, such as OfficeTools. Electronic file sharing and client portal integration: Whether the tax software helps gather information from and send completed tax returns to clients digitally, including printing returns to a client portal, or have clients fill out a digital organizer and upload their documents. Electronic signatures: Whether the tax software can send out tax returns for digital signature. 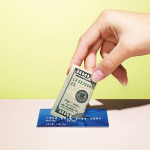 Electronic payments: Whether the tax software can send out a digital invoice for clients to pay electronically. Customer reviews: What customers like about the product and what areas of improvement are needed, if any. Based on the criteria above, we believe that Lacerte is the best tax software for tax preparers. While Lacerte is more expensive than other tax software, Lacerte integrates with more accounting and practice management programs than any other provider on our list. In addition, it also integrates with client portals as well as e-signature and e-payment services. Lacerte also has more in-depth help content and customer support that you can refer to if you have a question or get stuck. Lacerte by Intuit is the best overall tax software for tax preparers. Lacerte’s base price starts at $447 and goes up depending on your customized needs. Lacerte has more features and digital integrations compared to other tax software. For example, Lacerte can import data from the desktop and online versions of QuickBooks as well as practice management software like OfficeTools. No other product on our list integrates with all three of these programs. Lacerte’s pricing starts at a $447 base fee for its pay-per-return package plus per-return fees ($70 for individual and $92 for business returns). The Lacerte 200 package provides 200 individual returns, with per-return pricing for business returns. Lacerte also offers unlimited modules. We reached out to Intuit for pricing on the Lacerte 200 and unlimited modules, but were unable to obtain information. Lacerte features a worksheet-based data entry interface that makes keying in data fast and easy. Lacerte also has several data import tools, keyboard shortcuts, on-screen help, and extensive diagnostics. Lacerte offers electronic client organizers and a wizard for entering like-kind exchanges. Lacerte customer support is available by telephone Monday through Friday. Weekend support is offered during the peak tax season. Lacerte’s telephone support is similar to the support offered by other tax software companies. Additionally, Lacerte users can access an online knowledge base, community forum, training, and online videos. Lacerte’s user interface makes it easy to see a great deal of information on one screen, and can be configured for multiple monitors. Lacerte has keyboard shortcuts, and there are multiple ways for navigating through the software. Even the diagnostics are easy to use: click on an error message to go directly to the data field where the problem occurred. This is easier than some of the other providers on our list. Lacerte integrates with accounting software like QuickBooks and EasyACCT. Plus, you can import data from Excel spreadsheets and financial institutions. By comparison, ProConnect Tax Online can import from QuickBooks Online but not QuickBooks desktop. However, Lacerte and ProConnect Tax are the only providers on our list that integrate with QuickBooks. Lacerte integrates with Intuit Link (a client portal solution) and SmartVault (a file sharing system). Lacerte also offers digital organizers that accountants can email to clients. Other tax software programs also integrate with client portals (Drake’s SecureFilePro, CCH Axcess Portal, and UltraTax’s NetClient CS Portals). For additional fees, Lacerte integrates with DocuSign for obtaining electronic signatures on tax returns. Customers can pay their invoice through DocuSign as well. ProSeries and ProConnect Tax Online integrate with DocuSign. By comparison, Drake’s e-signature hardware is for obtaining digital signatures when clients visit the office. CCH Axcess and UltraTax have their own digital signature add-ons. The downside of Lacerte is that it’s expensive and does not include an integrated tax research feature like its competitors offer. However, Lacerte integrates with the accounting software that most small businesses use—QuickBooks. The ability to import data into Lacerte from QuickBooks will significantly reduce the amount of time it takes to prepare a tax return. We scoured the web looking for customer reviews and found that they are mixed. Positive reviewers said that Lacerte is very easy to learn and they like Lacerte’s Like-Kind Exchange Wizard. Negative reviewers said that the cost is too high and that the learning curve is steep. 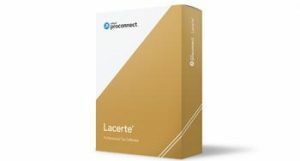 Lacerte can be found on the Intuit ProConnect Web site. While the pay-per-return module (Lacerte REP) can be purchased online, accountants will need to contact Intuit for pricing information and to purchase other versions of Lacerte. Interested accountants can obtain a free trial software. Drake offers the most tax preparation functionality in a single package. While Drake doesn’t have advanced software integrations, accountants can prepare tax returns efficiently in a desktop environment. Drake’s attractive price ($1,695 for their top-of-the-line unlimited package) makes Drake a good fit for tax firms that prepare a large quantity of individual and business entity tax returns. Drake Tax offers a pay-per-return package and two unlimited packages. Drake’s top-of-the-line Power Bundle costs $1,695 for unlimited returns of any type, which is cheaper than competing tax software. Unlike other software, Drake does not charge extra for accessing state add-on modules, nonresident returns, or entity forms. Drake Accounting: A separate software program for client write-up and preparing payroll returns and 1099 forms. Drake Zero Web1040: A web-based cloud software which can only prepare 1040 returns, and is designed for tax firms with 20 or more physical locations. Drake enables tax accountants to prepare any type of tax return inside a single package. Drake has good diagnostics and in-software access to help. Drake’s keyboard shortcuts and well-designed input screens make keying data efficient, especially compared to ProConnect Tax Online (which requires more mouse-clicking) and ProSeries (whose input forms are less compact than Drake’s). Prepare any type of tax return: Accountants can prepare individual, nonresident, C corporation, S corporation, partnership, trust, estate, tax-exempt, and benefits tax returns, regardless of which software package you buy. Keyboard shortcuts: Accountants can navigate through Drake using keyboard shortcuts, instead of relying on the mouse to move the cursor. Diagnostics: Drake checks the return for electronic filing errors, and describes where the errors are located. Help: Press F1 on a data entry field for quick help on that item. From the right-click menu or menu toolbar, users can access program help, navigation help, the support website, and the online knowledge base. Drake offers customer support and technical support via telephone, email, and a web-based knowledge base. Their U.S.-based technical support is available Monday through Saturday, and has expanded hours during the peak season of December to April. Drake’s customer support is similar to other tax software. Drake’s screen-based user interface neatly packs many data entry fields into each screen, so accountants can see at a glance what they are working on. 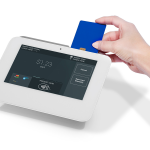 Drake’s menus and data entry screens can be configured to display in Spanish, and 12 individual forms can be printed in Spanish, an option not seen in other tax software. Drake Tax can import data from QuickBooks, Drake Accounting, and GruntWorx. Lacerte, ProConnect Tax Online, and ProSeries can also import from QuickBooks. Lacerte and ProSeries can also extract data by scanning source documents (similar to GruntWorx). UltraTax also offers write-up software (Accounting CS). QuickBooks: Drake Tax can import data from the Income Tax Summary report. Drake Accounting: Tax preparers export data from Drake Accounting into Drake Tax. Drake Accounting is a separate client write-up, payroll, and 1099 forms processing software. GruntWorx: Drake Tax can import data extracted by GruntWorx. GruntWorx scans source documents and extracts the relevant data from Form W-2, Form 1099-MISC, Form 1099-B, Schedule K-1, and various other forms. For an additional fee, Drake Tax integrates with SecureFilePro, which is a separate client portal service operated by Drake Software. Through the portal web site or smartphone app, clients can upload documents and files, access returns, update basic information, and send messages. Other tax software also integrate with client portals for additional fees. For additional fees, accountants can buy a hardware pad so clients can digitally sign when picking up their tax returns at the accountant’s office. By contrast, other tax software provide add-on services where clients can digitally sign their tax returns remotely. Drake offers two e-pay add-ons for additional fees. Tax preparers can swipe clients’ credit card or enter their credit card number through the e-pay screen inside Drake. Drake also offers remote e-pay through Drake’s SecureFilePro portal. Two other tax software programs provide electronic payment options: Lacerte (through DocuSign) and UltraTax (through Practice CS). Drake Tax is missing integrated tax research and government instructions. By comparison, ProSeries offers in-app access to government instructions, and CCH Axcess and UltraTax also provide access to tax research material. Drake Tax is also missing the ability to download clients’ 1099 data from financial institutions, a feature found in Lacerte, ProConnect Tax Online, and ProSeries. Users of Drake like its all-inclusive pricing. When it comes to downsides, users complain that Drake does not support remote electronic signatures. By comparison, Lacerte users often complain about high prices. Users of ProSeries find the software easy to use, but complained about limited integration with accounting software. Users of UltraTax say reaching customer support is difficult. You can purchase Drake online by visiting their website. Drake offers a free demonstration software, which you can use for as long as you like. The demo software can only e-file test tax returns. You can even view and print tax returns, but they are watermarked and not suitable for filing. ProConnect Tax Online is best for accountants whose clients use QuickBooks Online or QuickBooks Self-Employed. That’s because ProConnect Tax Online integrates very tightly with QuickBooks Online Accountant. ProConnect Tax Online has pay-per-return pricing ($20.95 to $54.95) with no annual fee. ProConnect can import Excel files and download clients’ 1099 data from financial institutions. ProConnect Tax Online has a pay-per-return pricing model. Accountants pay just for the returns they need: $43.95 for individual returns or $54.95 for business entity returns. Discounts are available for pre-purchasing tax returns in bulk. Unlike Drake, Lacerte, or ProSeries, ProConnect Tax Online does not have an annual or one-time fee. ProConnect Tax Online is a cloud-based tax software. There is nothing to install: accountants access the software through a web browser. What sets ProConnect Tax Online apart from other tax software programs is its tight integration with QuickBooks Online Accountant and QuickBooks Self-Employed. ProConnect Tax Online offers telephone support Monday through Friday. Weekend support is available during the peak tax season. Users can also access ProConnect’s online community, knowledge base, online training, and webinars. ProConnect’s customer support options are similar to Lacerte, ProSeries, Drake, CCH Axcess, and UltraTax. ProConnect Tax Online has a worksheet-based data entry interface that is fairly easy to use. However, ProConnect Tax Online lacks keyboard shortcuts, and it feels cumbersome to use a mouse to navigate around the program. By comparison, desktop software using Lacerte and Drake have keyboard shortcuts to make keying data and navigating more efficient. Similar to Lacerte, ProConnect Tax Online integrates with QuickBooks Online, which helps to reduce manual data entry. Tax preparers start by mapping the client’s trial balance to the tax return, and then importing the data into ProConnect Tax Online. Accountants can also import data from EasyACCT and Excel spreadsheets, or download clients’ tax 1099 data from financial institutions. ProConnect Tax Online integrates with Intuit Link. Intuit Link is a client portal service that integrates with ProConnect as well as ProSeries and Lacerte. Using Intuit Link, clients can fill out their organizer online and upload source documents, such as W-2 and 1099 forms. Accountants can refer to this data when preparing the return. For additional fees, ProConnect Tax Online integrates with DocuSign for obtaining e-signatures on tax returns from clients. Remote electronic signatures is a feature found in several other tax software: Lacerte, ProSeries, CCH Axcess, and UltraTax. Drake, however, does not offer a remote e-signature option. ProConnect Tax Online does not provide in-app help, tax research, or government instructions. By comparison, ProSeries offers in-app access to government instructions. Drake, Lacerte, and ProSeries provide links for navigating to help content. For tax research, UltraTax provides access to PPC Desktop content, and CCH Axcess provides access to the Master Tax Guide. Users report liking ProConnect Tax Online’s per-return pricing and tight integration with QuickBooks Online. Users report that they cannot download all of a client’s tax documents at one time from Intuit Link, and tax returns cannot be printed with a “draft” watermark. Users also complain that there needs to be an easier way to find help to specific tax questions. You can purchase ProConnect Tax Online easily by visiting their website. You can also try ProConnect Tax Online for free before you buy, as purchasing a tax return is not required until you are ready to print and file. CCH Axcess is the best professional tax software for tax accountants who have a software programmer or developer on staff who can customize the tax software. What makes CCH Axcess unique is their innovative Data Axcess API, which allows you to develop your own custom tools or to add third-party tools developed by others. CCH Axcess has advanced features similar to UltraTax and Lacerte. Unlike most of the other providers, CCH Axcess does not have pricing on their website; you will need to contact them directly for a quote. Pricing is customized based on your needs. CCH Axcess is available in a small firm package, but details for what’s included or how much it costs is not publicly available. We contacted CCH to inquire about pricing, and CCH explained that we would need to schedule a consultation to discuss the specific requirements needed so they could create a custom quote. CCH Axcess is a cloud-based professional tax software that features an open access application program interface (API). Accountants can utilize this API to develop their own tools, or install third-party tools developed by others. You can also use this tool to integrate with accounting and practice management software programs that CCH Axcess does not integrate with right out the box. CCH Axcess customer support by telephone is available Monday through Friday. Weekend support is available during the peak tax season. CCH Axcess users can also find help through an online knowledge base, user manual, and training classes. CCH Axcess’ customer support options are similar to those found in other tax software programs. CCH Axcess has a worksheet-style data entry user interface. The software’s menu bar and ribbon of icons along the top of the software looks like Microsoft Office applications, which makes this user interface feel familiar. Users can quickly navigate to various worksheets and government forms. Similar to UltraTax CS, CCH Axcess is fully customizable to meet your needs, which means you will need to contact them for a price quote. CCH Axcess can import accounting data from certain accounting software programs. CCH Axcess can also import data from XML files and DAT files. Data from spreadsheet programs can be copied and pasted into worksheet grids. However, CCH Axcess cannot import directly from QuickBooks, like Lacerte and ProConnect Tax can. Electronic file sharing and client portal features are provided through CCH Axcess Portal, which is a separate add-on. Client portal features also available through Lacerte, Drake, ProSeries, ProConnect Tax Online, and UltraTax. The ability to send out tax returns for clients to sign electronically is provided through CCH eSign, which is a separate add-on. Other tax software also offers the optional ability for remote electronic signatures: Lacerte, ProSeries, ProConnect Tax Online, and UltraTax. Drake, however, does not integrate with a remote e-signature service. Accountants cannot prepare Forms 1099 and other information returns using CCH Axcess. By contrast, Lacerte, Drake, and ProSeries offer optional software for preparing information returns. CCH Axcess also cannot import data from QuickBooks files, which is a feature available in Drake, Lacerte, ProSeries, and ProConnect Tax Online. Based on the reviews we found online, users most liked the e-filing and software update process inside CCH Axcess. Users were less enthusiastic about CCH Axcess’ data conversion from other tax software and accounting software integration features. To obtain pricing and to purchase the software, interested accountants will need to contact CCH. Accountants can also sign up for a product demonstration webinar and access the cloud-based evaluation software. 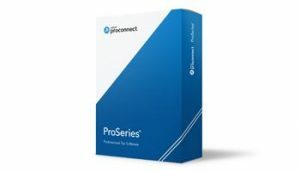 ProSeries Professional is a good fit for accountants looking for a desktop software with a forms-based interface. ProSeries pricing starts at $489 and it has more features and functionality compared to other professional tax software programs with a forms-based interface. Lacerte has more advanced features and tighter QuickBooks integration, but it costs more too. ProSeries Professional comes in four pricing packages. The pay-per-return package has a base fee of $489, with per-return charges. ProSeries provides flat-rate pricing for the Choice 200 ($1,999) and ProSeries 1040 Complete ($2,361) packages. Similar to Lacerte 200 and CCH Axcess, pricing for ProSeries Power Tax Library is customized based on your needs. ProSeries Professional has a number of great features. Unlike CCH Axcess, you can import data from Quicken and QuickBooks. Similar to the other providers on our list, you can import investment income data from financial institutions. ProSeries also includes a scheduling tool, electronic signature through DocuSign, and the ability to collaborate with clients. ProSeries Professional provides customer support by telephone, which is available Monday through Friday. Weekend support is available during the peak tax season. ProSeries’ customer support is similar to the support provided by Lacerte, Drake, ProConnect Tax Online, CCH Axcess, and UltraTax. ProSeries also provides in-app help for specific data entry fields and access to government instructions. The forms-based interface found in ProSeries Professional makes it more difficult to learn than Lacerte or Drake. However, once you get used to it, moving around the software is relatively straightforward. ProSeries provides a “Where Do I Enter?” feature to make it easier to find where to enter data. Plus, ProSeries includes line-item help, and users can search the online knowledge base directly from the search bar inside the software. Similar to Lacerte and ProConnect Tax, ProSeries Professional can import data from QuickBooks and EasyACCT. Similar to its competitors, ProSeries Professional can download clients’ data from select financial institutions. For additional fees, accountants can scan tax documents and import the data into ProSeries. ProSeries Professional integrates with Intuit Link, which is a client portal solution. ProSeries Professional integrates with SmartVault for electronic file sharing. This is similar to the client portal options available through Lacerte. Drake, CCH Axcess, and UltraTax. ProSeries Professional integrates with DocuSign for obtaining clients’ signatures on tax returns. This is similar to the e-signature options available through Lacerte, ProConnect Tax Online, CCH Axcess, and UltraTax. Unlike Lacerte, ProSeries Professional does not integrate with standalone practice management software like OfficeTools. Plus, ProSeries does not include tax research content, which is included in both UltraTax and CCH Axcess. Users report finding ProSeries very easy to use, and also liked that ProSeries smoothly handles data transfers from business returns to personal returns. Users didn’t like ProSeries’ limited accounting software integration features. Interested accountants can visit the ProSeries Professional website. Accountants who are interested in the Choice 200 or unlimited packages will need to contact Intuit to purchase. You can also try out ProSeries’ free evaluation software. UltraTax CS is the best option for certified public accountants who are building their tax, audit, and consulting practice around the CS Professional Suite. UltraTax CS integrates with Accounting CS, Workpapers CS, Practice CS, and NetClient CS. By comparison, accountants who are building their practice around QuickBooks should consider Lacerte or ProConnect Tax Online, which have tighter QuickBooks integrations. Similar to CCH Axcess, UltraTax is 100% customizable to meet your business needs, which means you will need to contact them for pricing. UltraTax customizes its pricing based on your needs. We reached out to UltraTax, and they explained that they don’t have set pricing plans because every quote is designed based on the needs of the tax practice. Interested accountants will need to contact UltraTax. By comparison, Lacerte and ProSeries make some of its pricing information publicly available. Drake and ProConnect Tax Online have fully transparent pricing. UltraTax CS is a full-featured professional tax software program. UltraTax CS offers on-screen access for help and tax reference material, extensive diagnostics, and keyboard shortcuts. UltraTax CS also integrates with Accounting CS and other software in the CS Professional Suite. Unlike many of the providers on our list, UltraTax offers a very customized approach to ensure the software is built to the needs of their customers. UltraTax CS provides customer support by telephone, which is available Monday through Friday. Weekend support is available during tax season. UltraTax’s telephone support is similar the other tax software we reviewed. UltraTax users can also access help content through an online knowledge base, community forums, and training. UltraTax CS features worksheet-style data entry screens organized like file folders. Users can customize input screens and folders. The interface is similar to other software in the CS Professional Suite, which helps to keep the learning curve to a minimum. The data-entry screens are not as compact as Drake’s, but they better organized than ProSeries. UltraTax can import data from Form W-2 and Schedule K-1 by scanning the barcode on the source document. No other software we reviewed has this feature. Clients’ accounting data from QuickBooks or Excel files can be imported indirectly using Accounting CS or Workpapers CS. These are optional software in the CS Professional Suite. UltraTax CS integrates with NetClient CS Portals and Onvio Firm Management. For electronic filing sharing, UltraTax CS can also integrate with FileCabinet CS. This is similar to the client portal and file sharing options available in Lacerte, ProSeries, and ProConnect Tax Online. Accountants can obtain digital signatures from clients using UltraTax CS eSignature for an additional fee. Other tax software has electronic signatures as an optional service, including Lacerte, ProSeries, ProConnect Tax Online, and CCH Axcess. Drake, by contrast, does not offer remote digital signatures. Clients can pay their invoices electronically if the invoices are sent through Practice CS. This is similar to the CCH eSign add-on for CCH Axcess. Drake offers remote e-payments through its SecureFilePro portal. Lacerte makes electronic payments possible through its DocuSign add-on service. Accountants cannot prepare 1099 forms and other information returns using UltraTax CS. By comparison, Lacerte, Drake, and ProSeries provide optional software for preparing Forms 1099, payroll returns, and other employer forms. Users report liking UltraTax CS’ accuracy, e-filing, and software update process. Users complained that it’s very difficult to reach customer support, and that sometimes UltraTax will freeze up when downloading e-file acknowledgements. You can find additional information about UltraTax CS on their website. There you will find free evaluation software for both the cloud-based version and desktop version of UltraTax CS. Plus, you can contact UltraTax to provide them with your business requirements and they will create a custom pricing plan that meets your needs. Accountants need to decide each year on the professional tax software that is right for them. Accountants should evaluate whether the tax software integrates with other software they are using in their practice. Accountants should also consider whether they need their software to connect with client portals, file sharing systems, and digital signature systems. We recommend Lacerte as the best overall professional tax software. Lacerte offers a wide range of features for importing data and preparing all types of tax returns. Lacerte users can collaborate with their clients either through Intuit Link or SmartVault.